• Light Corvette - tier VII famous ship of Mediterranean region, along with a free ship slot on shipyard. Light Corvette is the fastest ship in game, able to chase down any enemy under favorable wind. 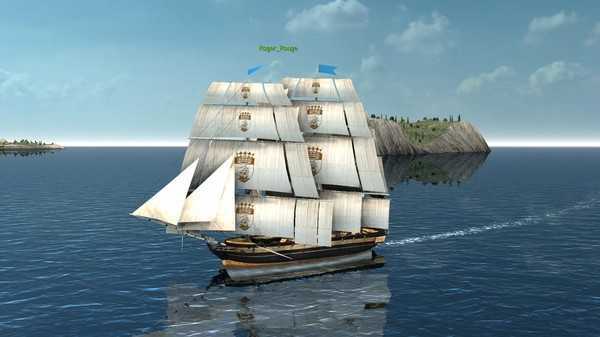 Sleek hull and unique rigging with auxiliary sails allow it to reach full speed in very short time and keep preferred shoot range with ease. 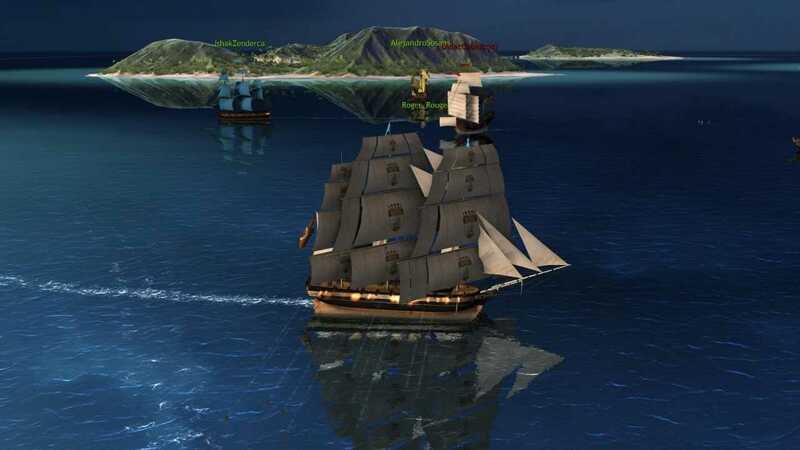 Armed by 20 large cannons, Light Corvette has far longer firing range than most of its enemies. You can apply all types of special armament and equipment as well as hire 2 different specialists. In hands of an experienced captain it can easily oppose even a tier 9 ship. 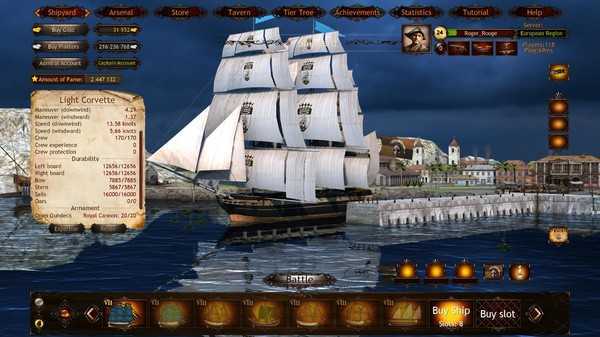 Wind of Luck: Arena is one of the games that were created specifically to bring in front a unique, multiplayer oriented gameplay that you can rarely see out there. What I like a lot about this game is that despite the premise which was already used in plenty of titles, it still manages to bring in front a really powerful, exciting gameplay mechanics that’s not only very fun, but which also brings in front plenty of great mechanics. One of the things I love about this title is the idea of working with a team in order to defeat the enemies. 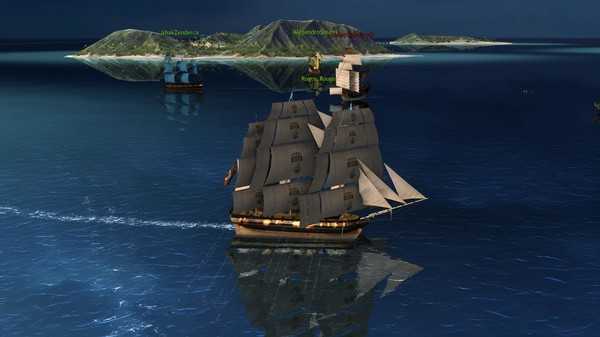 This allows you to bring in front plenty of cool mechanics which is really nice, but at the same time the title does a great job in showing you how it is to be a captain that stands in the middle of a sea fight. It’s amazing to play the game and at the same time battle people from all over the world, but the main challenge comes from equipping your ship and making it good enough to withstand attacks and engaging enemies. It’s not something easy to do and I have to say that the game does a great job in showing how hard and demanding it really is to man a ship. It requires a lot from your side, attention, focus and coordination, but at the end of the day it’s just something really good that can’t be expressed into words. The title allows you to explore a multitude of locations, all of which offer a stellar set of premises for exploration and which are a ton of fun to experience. Of course, you get a whole bunch of mechanics here as well, but what matters the most is how realistic it really is to explore the game world and engage others in battle. While Wind of Luck: Arena does a great job in showing you plenty of unique elements, at the end of the day what matters the most is definitely how you play and the experience you get. 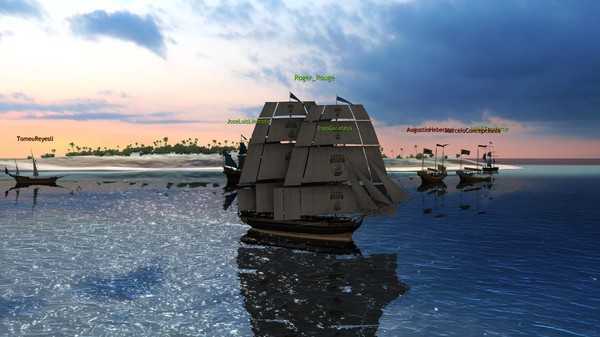 I felt like a great pirate captain and the naval battles and the entire gameplay that relies around that is just spectacular. It’s an astounding experience and maybe the best way that you can use in order to achieve ultimate success, so if you have even the slightest interest in naval battles, this is the right place to do it. The game was designed around the idea of having multiple ships, but the best ones are those you have to pay for, which is not a problem. I would have liked a better variety of free ships, but at the end of the day the gameplay is way too gun and fun for sure. It just manages to bring in front a unique insight into the world of ships. Battles are realistic, the gameplay here is amazing, and you never felt more alive in your entire life. Just exploring the world, cruising around and killing enemies might be one of the most freeing experiences I had during my entire life, so I have to say that the game does an amazing job when it comes to creating a stunning atmosphere. It does have its own fair share of issues such as the graphical bugs that appear from time to time, the low resolution textures you can find periodically or the lack of better mission variety. But, at the end of the day, Wind of Luck: Arena allows you to explore the seas and battle other ships, so if you like that idea, you will love this title for sure!